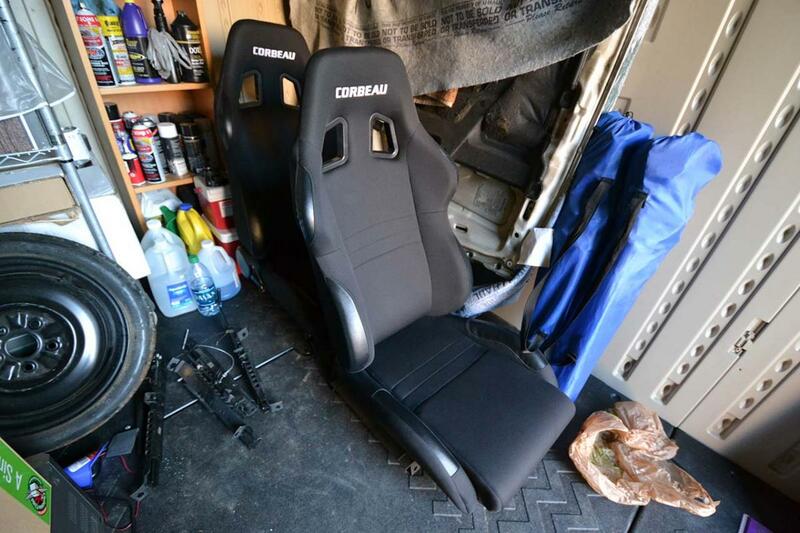 Selling my 2x Black Cloth Corbeau A4 Seats with FC Corbeau Rails (Driver and Passenger - Ready for install). These seats have little hours of usage. I hardly drive my FC unless I feel like going for a joy ride. Seats are mint, like new. Model is Corbaeu A4, google for specs if needed. Looking for $740 flat and that also includes the rails. If interested message me, located in South Bay (Torrance Area). See picture of the seats. For more pictures message me. No trades.